With over 30 years’ experience and a global install base in excess of 18,000,000 systems, NetSupport’s complementary software solutions have a proven reputation in the Service Management industry. Supporting the essential ITIL processes, NetSupport ServiceDesk delivers the tools needed to help operators effortlessly track, organise, manage and answer the toughest support challenges. In addition to supporting users’ daily IT issues, NetSupport ServiceDesk also highlights recurring IT problems; enabling schools and businesses to identify and fix the root cause, helping to support a productive working environment. 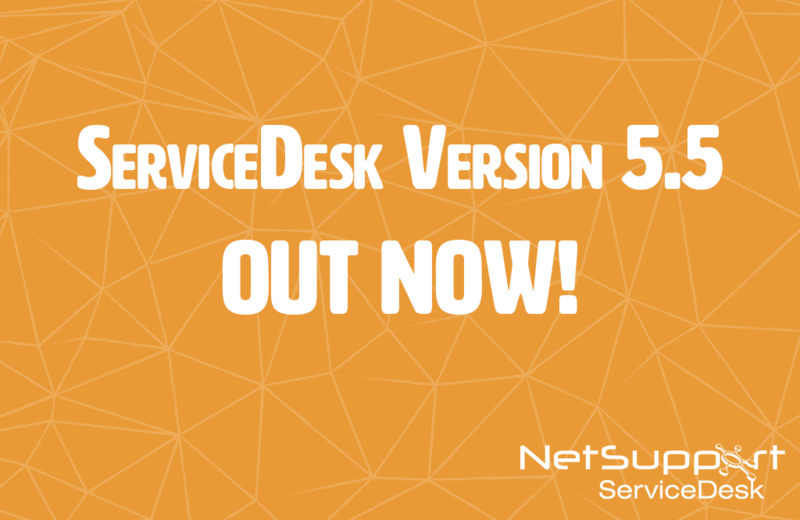 In its latest version (5.5), NetSupport ServiceDesk includes new and enhanced features. Child categories can now be included in Workflow rule conditions, helping operators to create a more filtered search. Tickets can be reallocated to other operators and operators can receive notification emails. Operators can now create conditions based on ‘Item Type’, such as Incident, Problem, Change or Request. Instead of creating individual workflow rules, operators can now use ‘Condition Logic’ to group them together as one rule. Operators can now see at a glance all tickets in all departments they are responsible for. These new features will not only help organisations’ IT support teams deliver an effective and timely response to issues as they arise, but will also help save them time while minimising the amount of system downtime. For more information about the new release or to book an online demonstration, click here.